The process of removing or cleaning up mold is known as mold remediation. Specifically, this process is designed to eliminate toxic mold when it grows in and indoor environment. 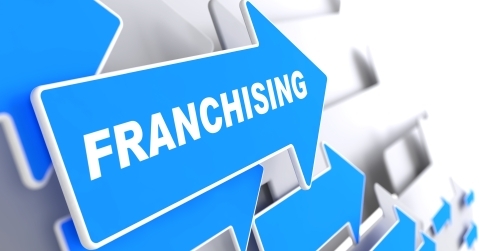 In most instances, any considerable amount of mold requires professional services and equipment offered by professional mold remediation companies. 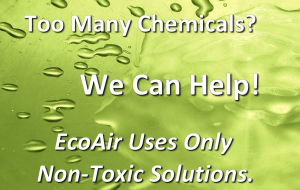 EcoAir Care is one such company that offers a wide range of mold removal services. it is important to hire professional and experienced mold remediation experts when mold is discovered. Mold is a type of fungus, and like all fungus it requires three basic things to survive, Oxygen, Food and Moisture. In our HVAC system, you can often find all three in abundance, Oxygen from the air, food from the dust buildup in the ducts that contains mostly dead skin cells, and moisture from the evaporator coil or the air. When mold starts to grow in the air ducts, it will release mold spores to the air and will travel from the air ducts throughout your house into the living space. 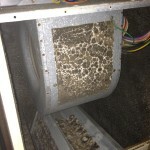 Mold in the air duct system will contaminate your indoor air and reduce air quality. Once mold is discovered, its highly recommended to call a mold remediation company ASAP. Because getting rid of mold is a complex process that must be done correctly, it is important to choose an experienced and knowledgeable company. When the removal of mold is done correctly it helps to ensure that mold will not return. Mold can grow and spread rapidly making the likelihood of recurrence quite possible, unless the removal process and standards are upheld to make sure mold is removed in an effective way. After mold cleanup has been completed its important to alter the conditions that led to mold development in the first place. Leaks and humid areas are often overlooked by homeowners, a mistake that guarantees a mold infestation. 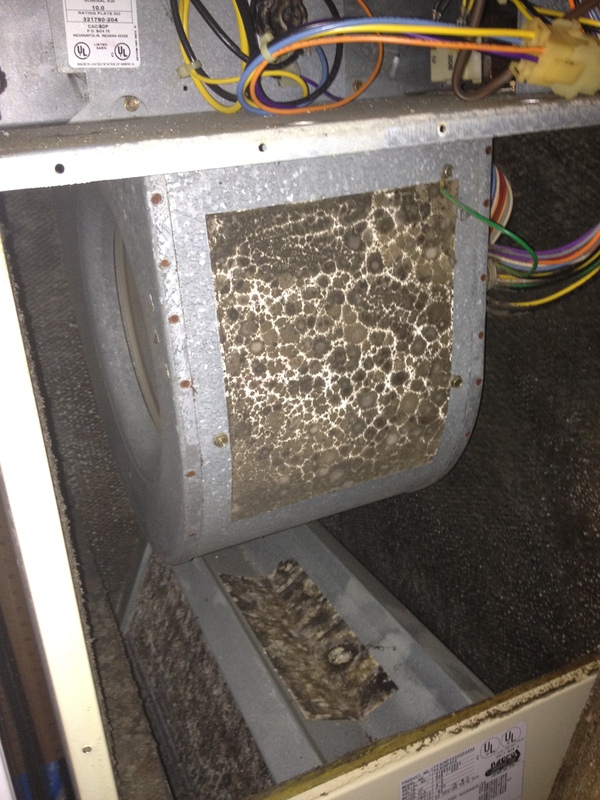 Removing sources of moisture or changing the environment where your air conditioning unit resides can be an effective way to prevent the recurrence of mold. Mold removal experts will typically wear safety equipment and protective equipment when performing a mold remediation procedure. In addition, in many cases during mold removal procedures, technicians will seal off other areas of a home to prevent the spread of this troublesome growth. Because mold releases spores into the air when it is in some way disturbed, it is important to take all precautionary measures. Contact EcoAir Care today for all your mold remediation and mold removal needs. Mold is unhealthy and damaging and can be removed when you hire the most experienced professionals in the region.